This sky simulation software in fisheye mode is intended to be used by projecting its image on a hemispherical dome. It is therefore the ideal tool for a planetarium by adapting all displays to be seen under a dome and interface to be used in the same way. This software contains everything necessary to talk about evening sky, astronomical phenomena that take place on Earth or into space, and to deal with all topics related to astronomy for school or entertainment. The possibilities of scripting that are added allow to both supplement the internal possibilities like to open to other domains. 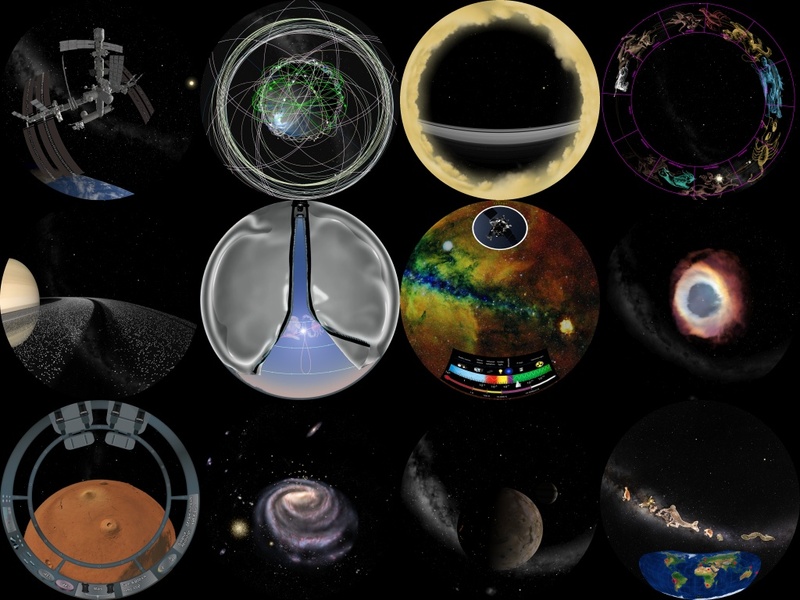 Click to download a fulldome video showing the former possibilities of the software. Click to download a fulldome video showing the new possibilities of the software in 2017. Click to download a fulldome video showing the new possibilities of the software in 2018.